Situated in the Pitti Palace, Boboli Garden is one of the greatest parks in Florence and proves to be one of the finest examples of Italian gardens from 16th century. 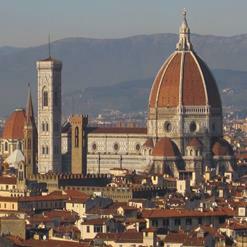 Laid out by Medici family, construction of the park started in 16th century. Along with being a green space constituting of beautiful trees and lush green lawn, the garden has numerous sculptures and statues dating back to ancient times. The Renaissance statues, fountains as well as Roman antiques are featured magnificently in the park.